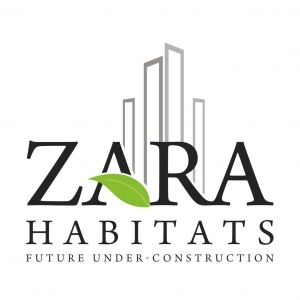 Founded by two young, enterprising partners – Raj Gala Shah and Zaheer Majeed Memon, Zara Habitats is a Limited Liability Partnership incorporated in February 2011. With an unmatched knowledge of the real-estate industry and a clear vision of creating a new market for home-buyers, the partners have brought to life the USP of the company which, simply stated, translates to building smart-sized, 1 and 2 BHK ‘s at landmark locations in Mumbai, MMR and Nashik. The company caters to customers that dreamed of living in prime areas, itched for enthralling views of the horizon, pined for spaces that gave them the pleasure of abundance, and thirsted for classy vibes and amenities. But elegance and a taste of opulence required astounding, mind-numbing budgets and this is where Raj and Zaheer sensed a niche. They trumped up a format of affordable luxury housing in the 1 and 2 BHK categories for the discerning customers, who didn’t favor the impractical large-home offerings flooding the market. The target segment of the brand is a new breed of customers, essentially the youth, who aspire to live in prime areas in the city. Raj and Zaheer spent time understanding the market and through their experiences, market sensibilities and instinct, conceptualized smart-size housing in the 1 and 2 BHK categories. Today, the company’s projects dot the skylines of Mumbai, Nashik and MMR. Plans are afoot to offer smart size 1 & 2BHK homes at Dadar, Parel and Matunga from where the dwellers can have an unobstructed view of the coastline and the metropolis. Having placed the company on a firm foundation of customer acceptability and economic viability, the indefatigable partners are now elevating Zara Habitats to the next level of excellence- that of quality, environmental and safety compliances with international standards. Their dream is to be compliant with the most stringent business excellence criteria of the world- the Malcolm-Baldrige criteria and given the achievement- rate of their aspirations so far, this milestone is a dream that is very close to actualization. A management guru truly remarked that it is possible for a company to operate local, but be global in its systems, processes, quality and customer-centricity.